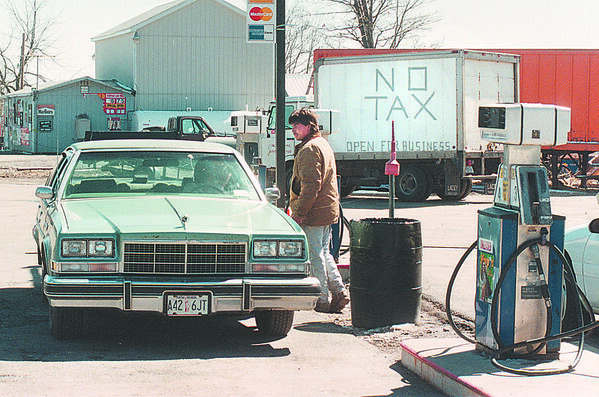 4/1/97 Reservation Taxes - James Neiss Photo - Hubert Swanson, right, asks a customer how much gas he wants at Pattersons Tuscarora Trading Post on Upper MT. Road. 298-5379 Office.